YankeeBayou: Gators and Spiders and Snakes Oh My! Gators and Spiders and Snakes Oh My! I'm an outdoorsy kind of girl, if you didn't know. Hiking is my favorite form of exercise. In fact my husband and I visit a new National Park every year trying to reach our goal of hitting all of them at least once. As I continue prepping for our move to the bayou, we look forward to adventuring outside! At the same time I am terrified! The creepy, crawly things I may encounter send chills down my spine. I am researching just to make myself more aware, as I will need to keep my kids and my dog safe from these unfamiliar, icky beasts. I've been joking about the gators since I learned our new location, but I am seriously freaking out about spiders and snakes now too! Gator attacks are pretty rare. There have only been 13 fatal gator attacks nationally since 2000 and none of these were in Louisiana. There was a terribly tragic loss of an arm of an 11 year old boy a few years back who was swimming in a frequently visited lake. This was a highly aggressive 10.5 foot bad, boy alligator. Luckily the kid survived! I was happy to learn that there are hunters hired to kill the nuisance gators too. These gators are the big, bad boys that are longer than 4 feet and have known offenses. Thank you Swamp People for taking care of the pests that might like to chomp on my corgi or one of my offspring. Happy hunting I say if these beasts are going after people. 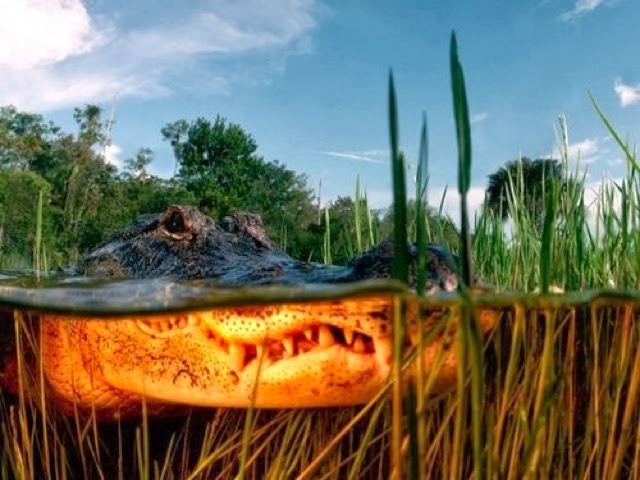 I also learned that the best advice for avoiding attacks is to avoid the gator's territory, especially during recent rains and mating season. No problem here; any swimming areas that lack chlorine will likely be on the "don't" list for this lady. Slip and slide anyone? The spiders of Louisiana are super scary! 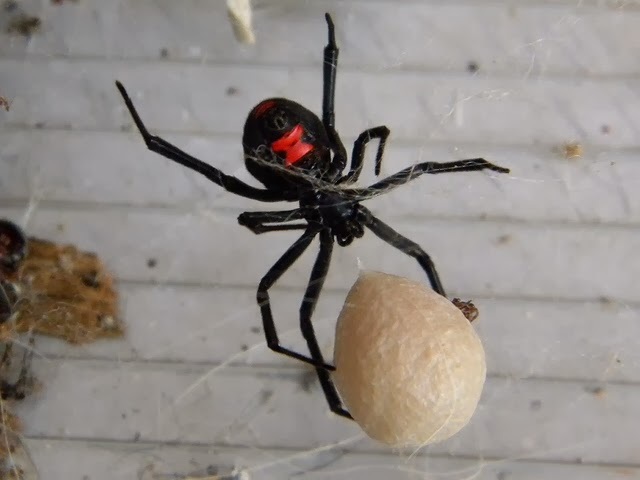 Black widows of varying types that I didn't even know existed and the brown recluse are the wicked ones. Now I wig out over the jumpy spiders here in Virginia. I think I could suddenly learn to fly if one of these freaky spiders popped up in my camper or a garage, or I could maybe forget I'm potty trained. Yikes! I'm now learning what to do if there's a bite from one of these nasties. The scariest of all are the nasty snakes of Louisiana. 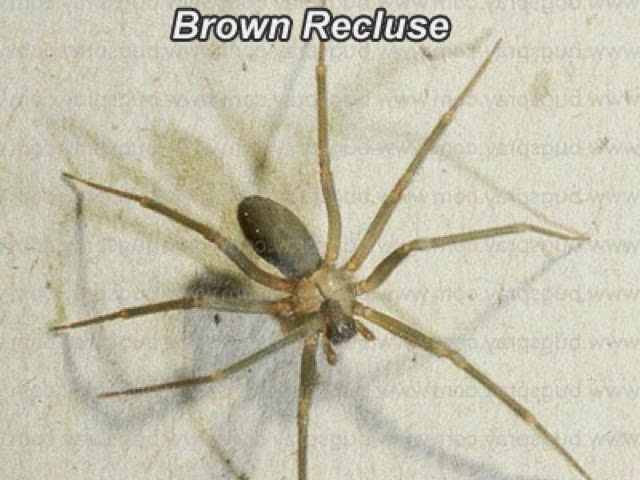 The Department of Wildlife and Fisheries in Louisiana has a huge list with pictures and descriptions, complete with locations of these slithery buggers. (Believe me I wanted to use a different word here). 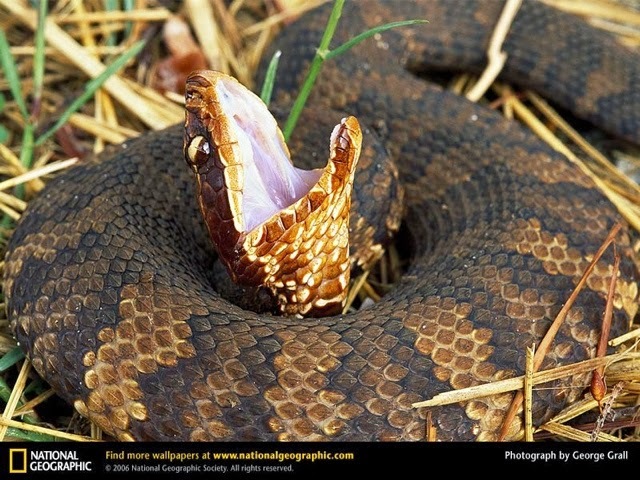 There are 7 different types of poisonous snakes! 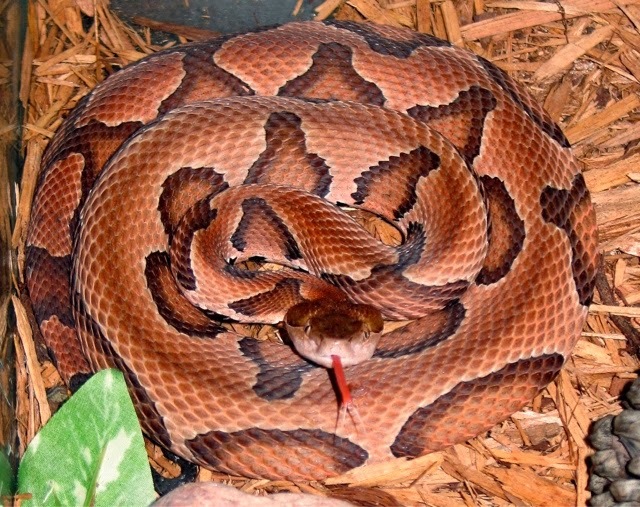 To me the scariest is the Cottonmouth, but we're familiar with the Copperhead too. Here again, I'm learning what to do in the event of surprising one of these creatures. Though I really am going to try my best to NOT surprise them. Adjustment happens with each and every move we make. As I am not about to give up hiking, there's a new education needed for our adventures down south. We need a field guide for sure! Do you think they sell bravery out there? I'm going to need some if I ever face one of these nasties head on. Thank you to the above for being brave enough to actually take these photos. Heaven help me if I actually ever have any personal photos of these nasty creatures!